Four clubs in Ghana's second tier of football have been demoted to the fourth tier by the Ghana Football Association (GFA) for match-fixing. The quartet - Great Mariners, Nania FC, Okwawu United and Tudu Mighty Jets - were also fined US$20,000 following Wednesday's findings. 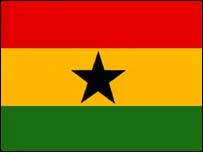 The GFA also decided to ban certain players and officials from the clubs for a year. All the players who were on the pitch at the end of both games, including two late substitutes, have been banned for 12 months from all competitions organised by the GFA. The ban affects three-time African Footballer of Year, Abedi Ayew Pele, who owns and manages Nania FC. Nania and Mariners were level on points in their group and needed to win their final matches to qualify for the country's top league, the Premiership. Nania beat Okwawu United 31-0 while Great Mariners triumphed 28-0 over Mighty Jets in the First Division last month. Pele was banned because he was present on the technical bench of his side on the day of the match. Meanwhile, Mighty Jets have indicated that they will appeal their second ban in four years. The Tudu-based club were banned for one year in 2003 for withdrawing from a competition organised by the GFA but were later reinstated after a court action. "Our lawyers are studying the verdict but for sure we will appeal against this gross injustice that has been perpetrated without evidence," Mighty Jets president Abubakar Nallah told BBC Sport. "There should be no illusions about this because we will fight this to the hilt, like we did in 2003."